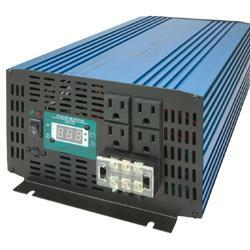 Pure sine wave inverters provide an exact replica of AC power. For running typical resistive loads like lights and appliances, a modified sine wave inverter is a reliable, cost-effective choice. Some devices, however, may not recognize the modified sine wave and may run poorly or not at all.